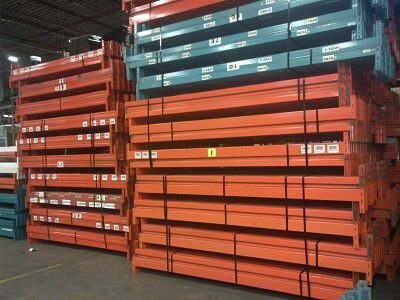 We have over 5000 Redi Rack pallet rack beams in stock at our warehouse ready for pick up or quick ship. Many size beams and frames to choose from. 8' beams are our most popular size and it's hard to keep USED inventory in stock. If we sell out, we do have NEW available in a number of different sizes - most popular sizes 8' x 4" and 12' x 6". 8' beams range in price from $20 - $27, depending the capacity rating. We have small quantities available from 2" to 5".